Once again the weather at Monaco for this afternoon’s 30 lap Sprint Race was warm with air and track temperatures of 21° and 35° respectively. Following yesterday’s Feature Race, where he finished 2nd, Norman Nato would be starting from 7th on the reversed grid while Jordan King, who retired with steering damage, would have to start from the 10th row of the grid. Both of the Racing Engineering drivers would be racing on the Pirelli P Zero Yellow soft compound tyres. Norman made a good start passing Rowland into Ste Devote and at the end of the opening lap he was 6th, 0.6 seconds behind Lynn and 0.7 seconds ahead of Rowland. By lap 6 the gap to Lynn was 1.6 seconds but he was having to drive defensively as Rowland was just 0.7 seconds behind. Norman then began to close in on Lynn and on lap twelve the gap was just 0.4 seconds and Rowland had dropped back to 1.3 seconds behind the Frenchman. On lap 15, the halfway point of the race, Norman set the fastest race lap so far with a time of 1:21.804s and the gap to Lynn was back out to two seconds and Rowland was 1.8 seconds behind but the Racing Engineering driver was pushing hard and he set another fastest lap of 1:21.771s on lap seventeen. With just five laps to go Norman, after backing off a little for a few laps, set yet another fastest time of 1:21.607s and as the race came to an end he crossed the line in 6th place. Jordan found himself losing places on the traffic jam into Ste Devote, being passed by Sirotkin and Jeffri, but he repassed the Arden car to be 20th at the end of lap one. The Racing Engineering car then passed Armand at the hairpin with contact between the two cars but Jordan was able to continue in 18th. An accident at Ste Devote to Gelael promoted the young Englishman to 17th and he was now chasing Sirotkin who was 0.3 seconds ahead but the Russian retired on lap eleven so Jordan’s next target was Eriksson. On lap 13 it was announced that Jordan would receive a ten second penalty for the contact with Armand earlier in the race. As the race entered the final laps Jordan continued to chase Eriksson but he was unable to close the gap and he finished 16th and he was far enough ahead of the next car to not lose any places with the addition of his time penalty. A mixed weekend for Racing Engineering at Monaco with a 2nd and a 6th for Norman which puts him in the lead of the Drivers’ Championship, one point ahead of Markelov but for Jordan it was disappointing, losing a potential podium place in the Feature Race and not scoring any points today. There will now be a three-week gap before the next race at the new circuit of Baku in Azerbaijan. "Like yesterday it is mixed feelings. Norman scored some points that put him in the lead of the Championship which is good and we are P2 in the Team Championship so it is a positive weekend. However, for Jordan he didn’t manage to improve on his starting position which was at the back from yesterday’s race so he finished the weekend with no points which is a bit disappointing but he showed good pace in Qualifying and the first race so we hope to score points with both cars in the next race." "It was a long race, I didn’t want to take any risks because the target was to score points today and try to take the fastest lap, but Matsushita took it right at the end. I tried again as I had the tyre to do it but I was blocked by Lynn who was a bit slower than me. It has been a positive weekend because I am leading the Championship and P6 today so it is job done and now we need to continue." "My start wasn’t amazing but I knew it wasn’t going to be easy into the first turn and I got stuck on the inside and lost a place. After that I was just trying to make progress but you can’t go quickly where you want to and your pace is dictated by the car in front so you end up using more tyre than you want to in order to achieve a lap time. That said it was good fun, a couple of incidents happened that were a bit unfair but that’s racing I suppose." 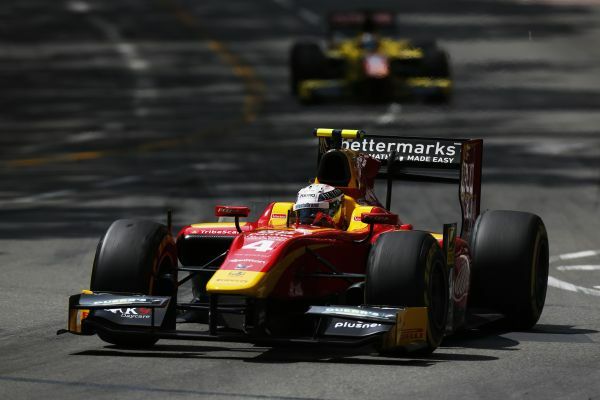 Racing Engineering are looking to continue their winning ways at Monaco. Monaco Q&A with Norman Nato: "I have high expectations for this race." Jordan King finishes third today for Racing Engineering at Barcelona. Norman Nato takes a great win for Racing Engineering at Barcelona today. A new season begins for Racing Engineering in Barcelona. Barcelona Q&A with Norman Nato: "I really want to fight for the championship this season"
A very successful three days of testing for Racing Engineering at Barcelona. 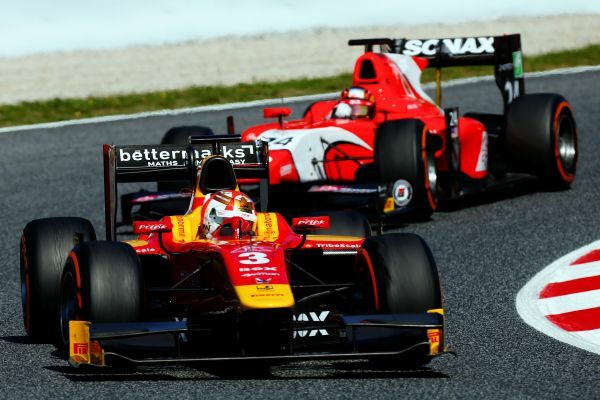 Jordan King confident that he can go for the GP2 Championship with Racing Engineering in 2016.